The now official position of Bulgaria states that our country will back the agreement between the European Union and Canada, if the latter removes its visa restrictions for Bulgarian citizens. Surely, you are aware that visas are not part of the negotiations for this treaty at all. Undoubtedly you are also very much aware of Regulation (EU) No 1289/2013 of the European Parliament and the Council, which is to ensure the visa-free travel of Bulgarians and Romanians not only in Canada, but also the US. The visas will fall even without the CETA treaty! Otherwise the European Union – following its own rules – should impose reciprocal measures on US and Canadian citizens. An disadvantageous option for both the EU and our North American partners. After the above, association “Solidary Bulgaria” would like to express its dismay at the lack of an adequate debate and argumentation for the Bulgarian position. We do not oppose that the visas are removed. But it is not the free crossing of borders that is the main problem of Bulgarian citizens. Over 2 mln. Bulgarians are already living and working abroad. The lack of jobs, of adequate healthcare and public services, of opportunities for development and of perspective have led to the depopulation of the country. Does anyone believe that we need even more emigration?! You adamantly refuse to draw up and publish an analysis of the effects of CETA. You talk about its benefits, but it seems you do not believe in them yourself. A number of studies have shown Bulgaria has no reason to insist that this treaty is signed. The expectations for significant economic gains, which can be found in public statements, are hardly provable, to say the least. While the negative effects are inevitable. We won’t delve too much in describing the supranational courts, servicing only multinational corporations, the lowering of standards and the breaching of labor rights – association “Solidary Bulgaria” has published and sent the Bulgarian institutions a number of reports, positions, studies on the topic. We would like to highlight just three items, which should be present in the treaty at all costs, in order to protect the interests of the Bulgarian citizens. 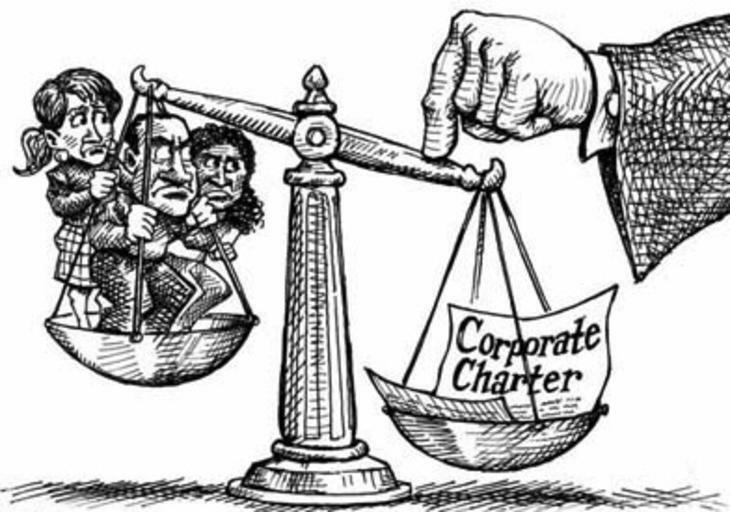 These “economic and trade” agreements have social consequences. Unfortunately, the latter are neither studied nor part of the negotiations. We would like to stress that a report by the European Parliament indicates that the other controversial draft agreement – with the US – will lead to pressure on our social systems. Without assessment and measures for reinforcing the labor, social and citizen rights, the adoption of CETA would mean even more vulnerable Bulgarian citizens, which would then need social support. Only to be told off afterwards by ministers and MPs that they are the ones to blame for their poverty? 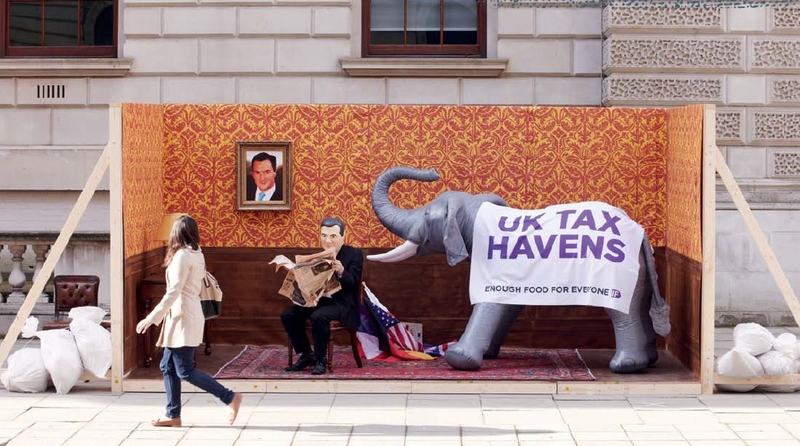 The main shortcoming of international trade in the last decades is that is used by globalized companies for tax evasion through shell subsidiaries, registered in “off-shore zones” with little or no taxation. Just the EU is losing 1 trillion Euro annually because of this. This is why all trading countries are forced to shift more and more of the tax burden on citizens and national companies, driving down real incomes, stifling market demand, confining social services and infrastructure to degradation. This directly damages also the local national business, as it provides multinational companies an unfair trade advantage. Eventually this is what creates the growing social and political tensions we see in the last years in the whole EU and North America. CETA and the TTIP drafts completely ignore this problem and miss out on the chance to restrict access to offshore areas – a measure which requires solidary measures and corresponding agreements between the most developed countries. 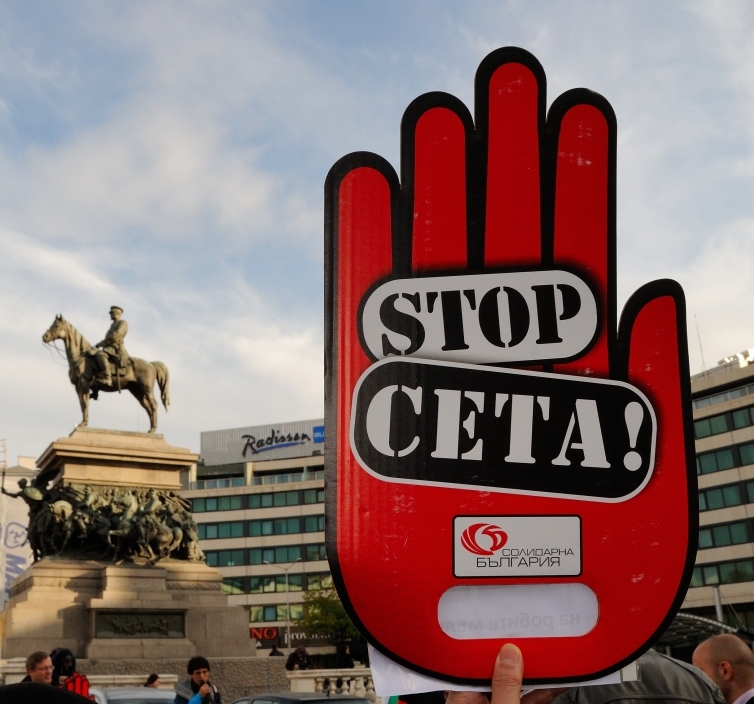 CETA is a product of an ideology about world trade which crashed in 2008 and became anachronous. Association “Solidary Bulgaria” reminds that one of the most acute problems right now is the flow of human beings from the Middle East to Europe. Mr. Borisov, as pointed out by yourself recently, the external military intervention in 2003 devastated Iraq and it was just justified with non-existent weapons of mass destruction. The chaos which descended onto that country drove millions of its citizens outside of its borders. The refugees overwhelmed Syria. In recent years the war spread there also. Millions of people from both countries fled to neighboring Turkey. Today the European Union is being held hostage by the Turkish president Recep Erdoğan, who trades with the fate of the fleeing from military actions people, piled up at our south border. And no walls or fences will solve the problem. In this situation Bulgaria has to protect the security of its citizens, while not denying solidarity to the millions of people, driven out of their homes in the Middle East. For a large portion of them Canada is a desired destination. People drown, live for years in tents, social and citizen tensions in European countries are flaring up. This can stop only in one way – the West and the Euro-atlantic community have to take responsibility for what they’ve done in the Middle East! The negotiating process of comprehensive trade agreements (which go far beyond trade matters) is an excellent opportunity to remind this to our foreign partners and to put the issue on the negotiating table. If they want unimpeded and increasingly uncontrolled by regulations movement of capital, then let them accept also the free movement of people and labour. This includes accepting some of the refugee flow – something, on which also the new Secretary General of the UN Mr. Guterres insisted . Dear ladies and gentlemen, this is an opportunity which you and you EU colleagues missed in the negotiations, but it is still not too late to delay the signing of CETA and create a fiar and just agreement.